This dramatic and inspiring Grade I ‘cathedral’ church is an acknowledged masterpiece by James Brooks (1825-1901), a major and prolific Victorian architect. Based on the c12th plain Cistercian model, it was developed incrementally from the mid 1870s to 1916 for a more elaborate expression of theology through ritual. 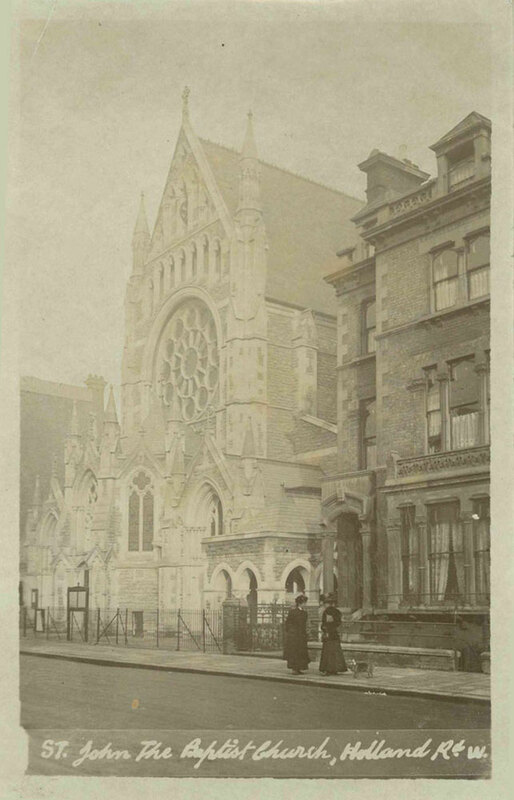 The site was bought from the Holland Estate in 1868 with the intention of building a daughter church in the parish of St Barnabas, Addison Road. A condition of purchase was that the new church must be built in stone, making St John’s an expensive undertaking. Today it has its own parish, one of the smallest in London, and is part of the united benefice of Holland Park. Then, as now, the costs of building and running a church were entirely the responsibility of the congregation. Pending the necessary funds for a final stone version, a substantial wood-framed, corrugated iron church was built. It was first opened for Evensong on 27th February 1869. 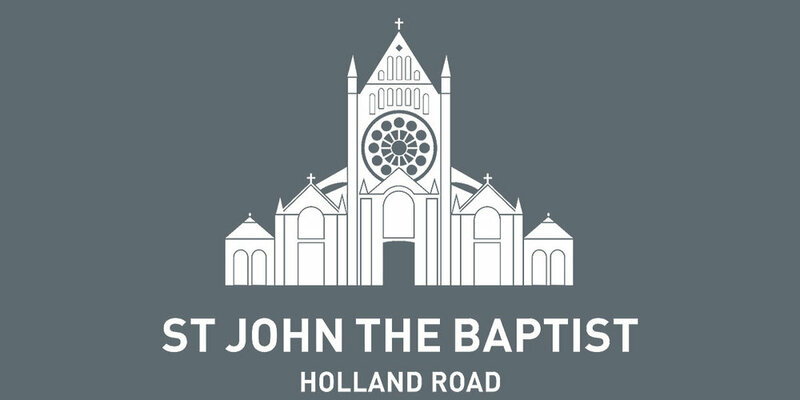 The St John’s we see today was constructed in stages over several years, starting at the east end and working progressively west towards Holland Road. 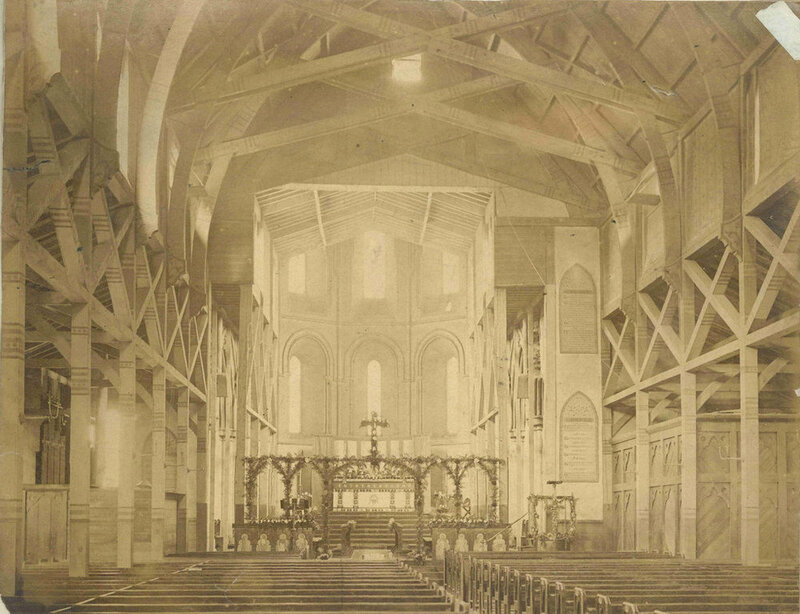 As soon as the congregation had raised enough money for a new section, a little more of the original, temporary church was dismantled, and another part of the St John’s we see today built in its place. The stone church was begun in the 1870s and the chancel completed by 1885. Construction continued westward for a further twenty-five years and ended with the completion of the west front in 1910. 1870s: in the background, the present-day sanctuary has already been constructed in stone. The rest is still the original, temporary church - to be replaced in the following decades by the St John’s we see today. The uneven floor is a legacy of this incremental construction. 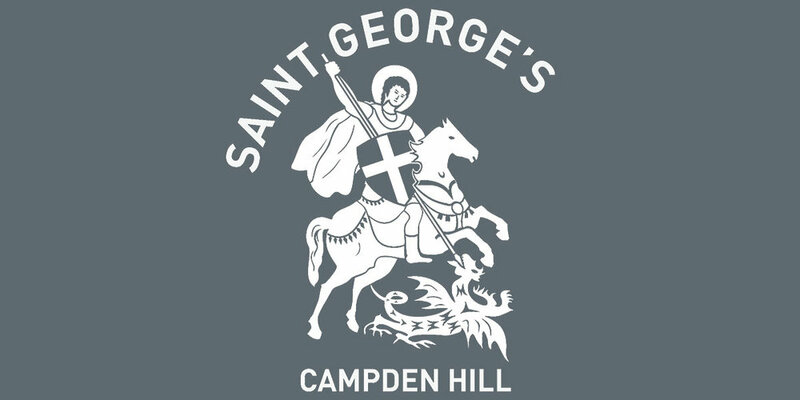 Its restricted period of development, the firm hand of the first two Anglo-Catholic incumbents 1869-1916, and the generosity and dedication of the parishioners all ensured throughout a unity of concept and high quality of design and execution. 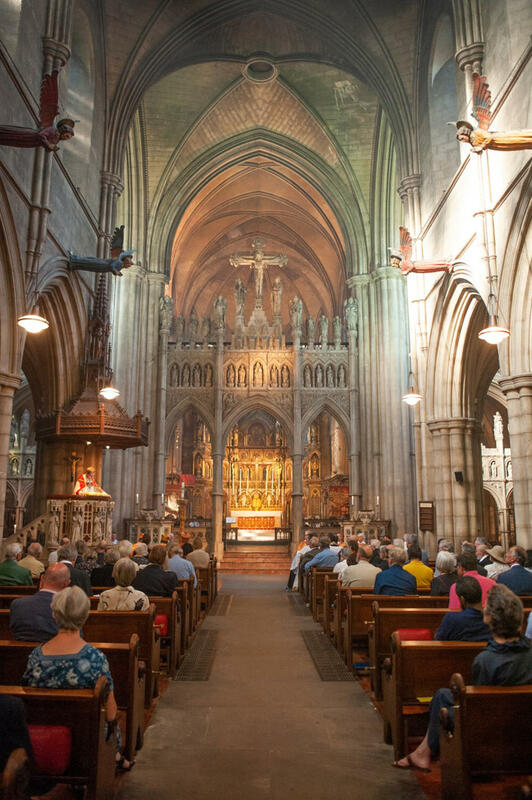 For these reasons St John’s is a distinguished and integrated time-capsule of the Anglo-Catholic movement. It is regularly in use for that traditional form of worship today.